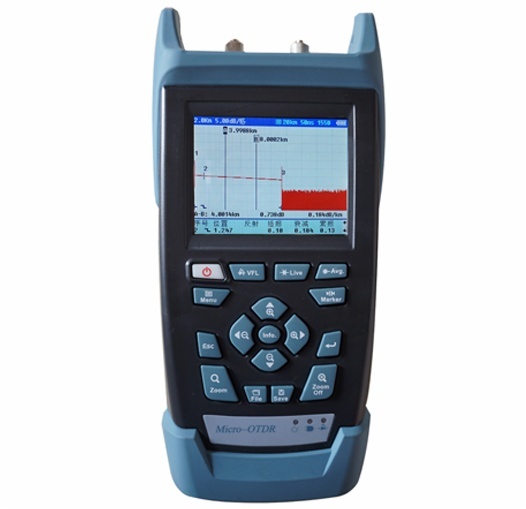 FL-450 – Nanjing Fiberlink Communication Technology Co., Ltd.
3.Wde temperature working status: it can within the scope of – 10 ℃to 45 ℃to normal test. 5.Large capacity storage (maximum storage 1000 results). 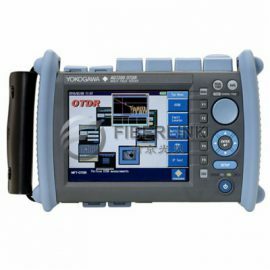 FL Series OTDR products provide the real-time measuring models, fit for massive optical fiber scanning test to get high efficiency. 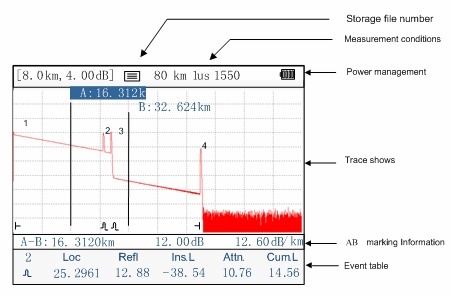 The built-in intelligent trace scaning modules can both quickly and precisely analyse the trace, listing out the necessary information in event table including event location,fault location with friendly user interface, ,which is understandable to line maintainers especially ones without professional educational background. If cusomers are not content with the event table , they can set the analysis parameters and reanalyze the tested traceagain. The VLS function help to quickly find out the breakpoint or big insertion loss point of near end of fiber, so that user can take actions as soon as possible to save the time. 6.The powerful OTDR File Tool software function: trace management, trace print and trace browse. 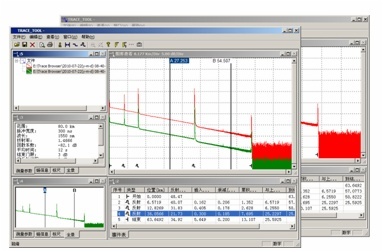 The OTDR File Tool software based on windows system is specially designed for off-line data process. (1)The Trace batch processing function realease user from mass repeated trace management works. Add,delete or modify any event of event table manually leading to perfect optical cable report. ①Unless otherwise specified, all specifications for the 23 ° C ± 2 ° C (73.4 ° F ± 3.6 ° F) temperature range, with FC / PC connectors are valid. ②General Configuration. ③SNR = 20us pulse and three minutes of a typical dynamic range of the average. ④With 10ns pulse, single-mode reflection rate of less than -50 dB typical dead zone. 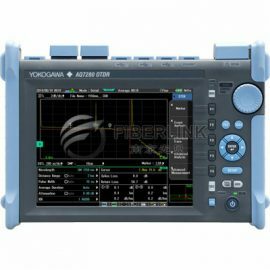 ⑤With 30ns pulse, single-mode reflection rate of less than -50 dB typical dead zone。⑥Does not include uncertainty due to fiber IOR.